It was an unimaginable 41 year ago today, on Christmas day of 1976, that I finally got my hands on this much-desired beauty, a gift from Santa Claus. And actually, having asked for it specifically on the Christmas list that my mother would demand that each child write (usually sourced out of the Sears Christmas catalog, with an upper cap of $40.00 total), I wound up finding it among other gifts secreted away in our as-yet-unfinished attic, so I knew that it was coming at last. 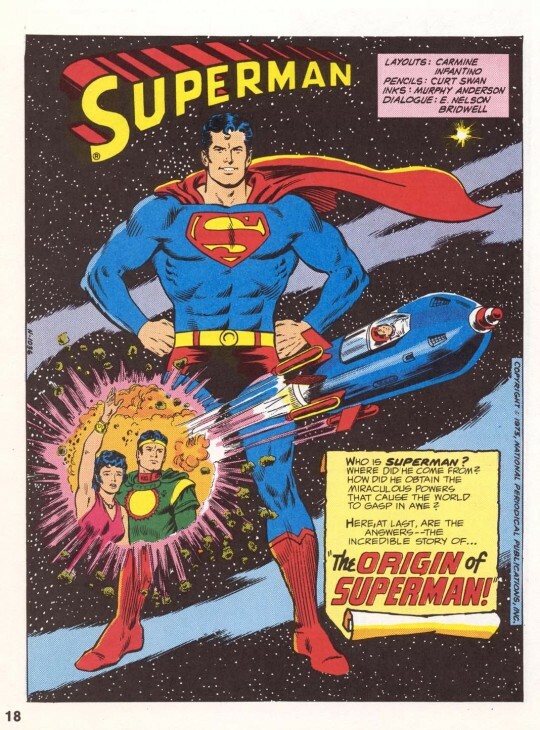 SECRET ORIGINS OF THE SUPER DC HEROES was the follow-up to Crown Books’ successful collections of vintage Superman and Batman stories. But it was really a reaction to Simon & Shuster’s ORIGINS OF MARVEL COMICS and its profitable follow-ups. Carmine Infantino and DC certainly wanted a piece of that marketplace (even if Carmine would be ousted as DC’s Publisher by the time the final product reached the marketplace in mid-1976). So the book is structured remarkably similarly to ORIGINS, with chapters devoted to ten DC heroes reprinting their origin stories (in most cases, two different ones from over the years) and introductory chapters written by Denny O’Neil outlining the behind-the-scenes story as to how these characters came to be. Sadly, Denny is many wonderful things, but he’s not Stan Lee, so his secondhand recountings aren’t as engaging or fun to read as Stan’s–they read more like a homework assignment. It’s mostly the editors that Denny speaks to and who comment on the genesis of these heroes, and while they’re appreciative of the gainful employment such characters have provided them, you can’t help but get the feeling that it was all just a job to these guys. Remarkably, the introduction to the Superman chapter speaks of Jerry Siegel and Joe Shuster, at a time when their byline was still stricken from the rolls at DC–this is notable in that, in that previous Superman collection that Crown had published years earlier, neither man was mentioned by name. 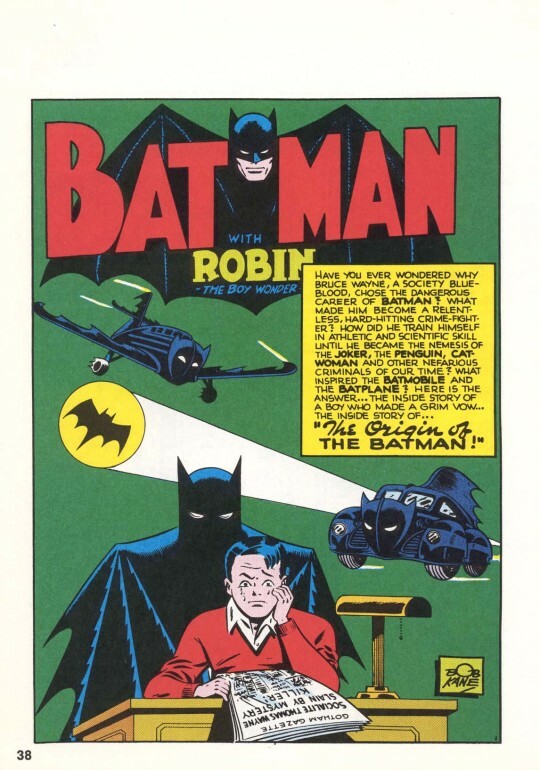 Similarly, the Batman chapter talks about Bill Finger as well as Bob Kane–in fact, it mentions Finger’s name first. This was an extraordinary thing in 1976, and something that DC would walk back for at least a few more months on Jerry and Joe’s side, and for decades longer when it came to Finger. Whether this was due to Denny, or a desire to give a true accounting so as to mimic ORIGINS (whose accounting is far more compromised), it almost doesn’t matter. The book also bridged the gap between the Golden Age and the more modern Silver Age, the Earth-1 and Earth-2 incarnations of the characters. 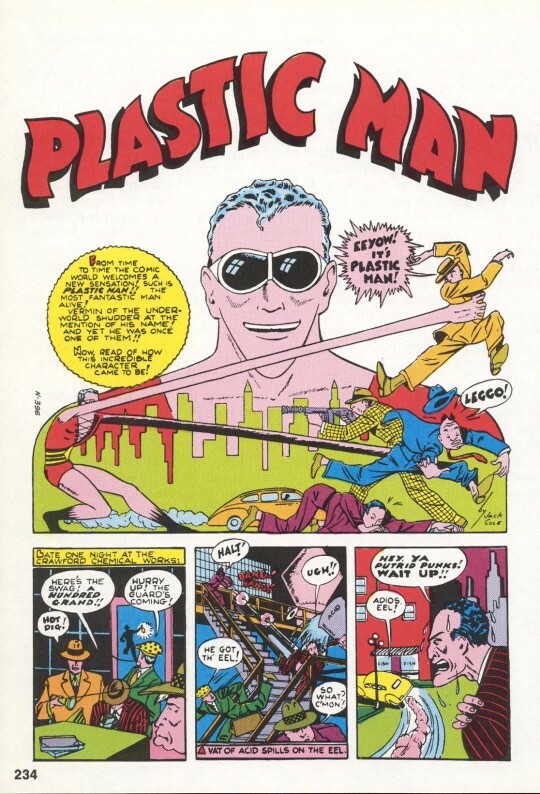 In all but the final two instants, two stories were run featuring each character: their initial Golden Age appearance (or origin, in the case of Batman and Wonder Woman) and then either a more recent retelling or updating of that origin, or the origin or first appearance of the Silver Age incarnation of that hero. So you got Jay Garrick along with Barry Allen, Alan Scott besides Hal Jordan, and Al Pratt as well as Ray Palmer. So, just walking through the volume a little bit, after some introductions and dedications (Sheldon Mayer!) it gets down to business with Superman, starting with a reprint of the first page of his initial story in ACTION COMICS #1 (which I’d already seen in the FAMOUS 1ST EDITION reprinting) followed by the expanded Origin of Superman from the AMAZING WORLD OF SUPERMAN special edition–this one I’d also previously read, in a SUPERMAN treasury Edition. This is followed by the origin of Batman from BATMAN #1 (I’d read it) and then the well-regarded 1948 story in which Batman tracks down Joe Chill, the man who had killed his parents. It’s a story that packs a punch. 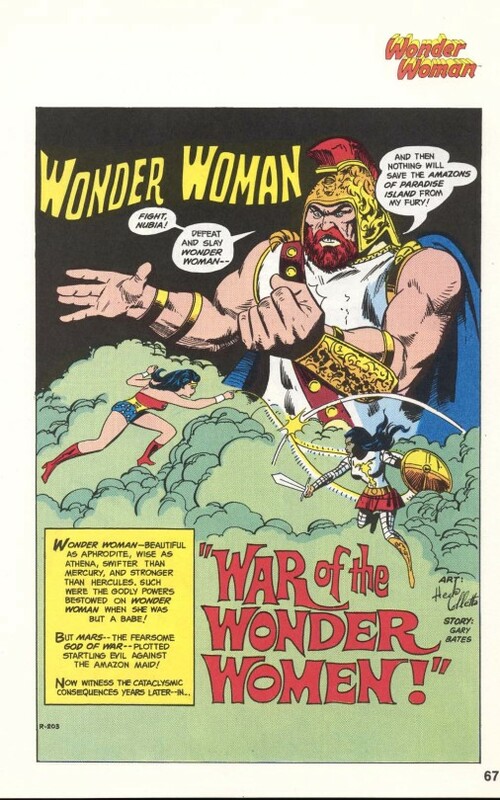 Next came Wonder Woman, whose origin from the first issue of her comic was reproduced (Again, I’d read it in reprint before) followed by a more modern recounting by Robert Kanigher and Don Heck that also built up the mystery of Nubia, Diana’s long-lost sister. 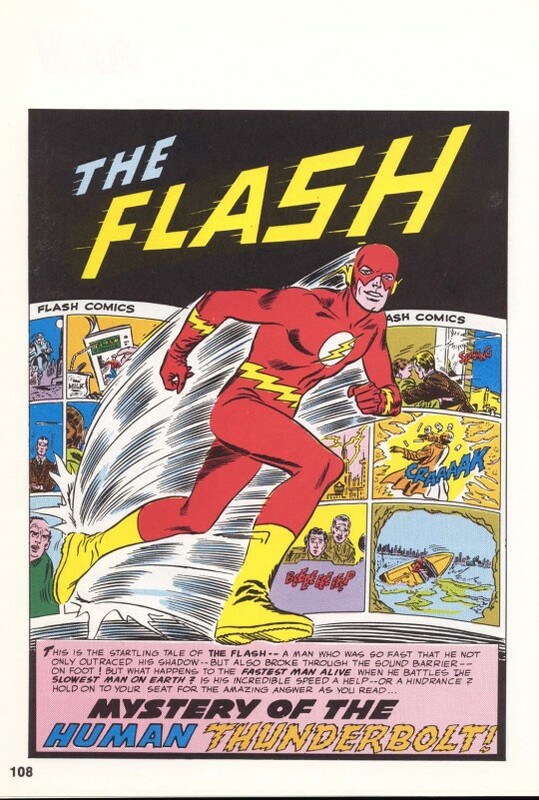 Then came the main event, the reason I had jonesed over this volume for so long: the origin of the Flash. It began with a reprint of the first Jay Garrick story (read it already!) and then reprinted the inaugural Barry Allen story from SHOWCASE #4. And I loved it, boy, every nonsensical second of it. 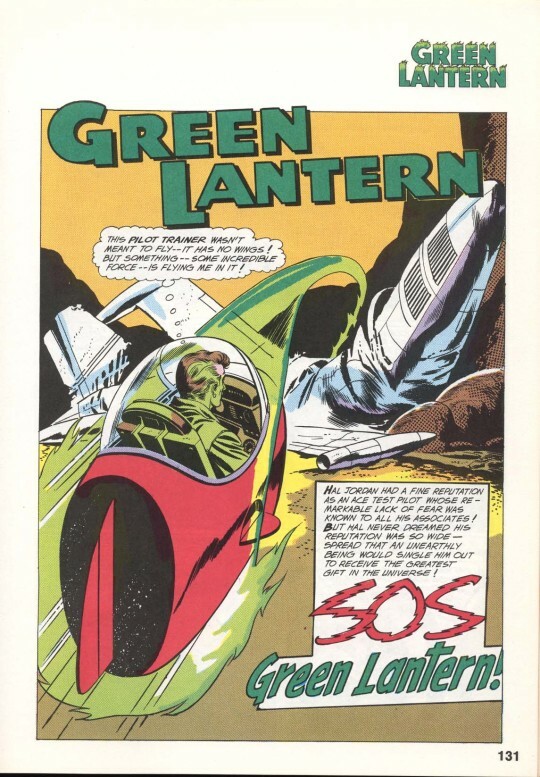 This was followed by the first Green Lantern story, featuring Alan Scott–Scott doesn’t don his costume until the very last panel in this story, which was a bit disappointing–and then the first Hal Jordan tale (in which he does wear his costume, but no mask yet.) The fact that so many of DC’s characters had debuted in anthology titles, and so their stories were shorter than their Marvel competitors made it easier to fit more stories into a single volume. 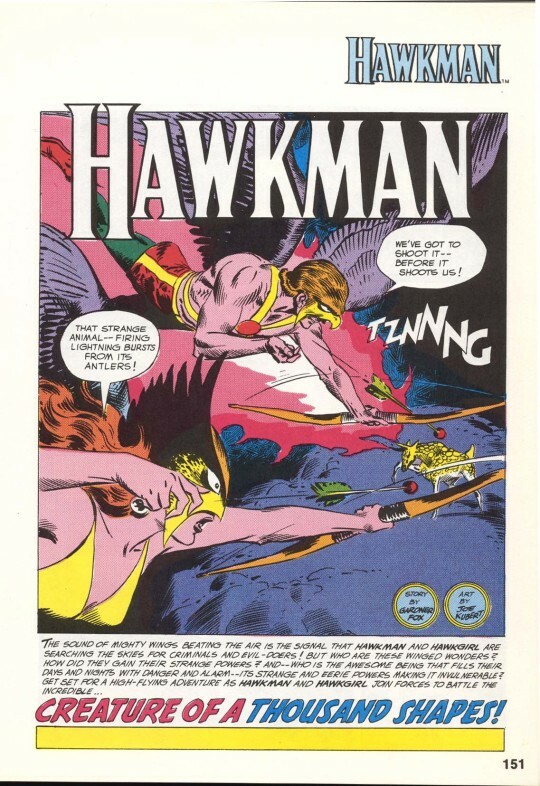 Then came two Hawkman origins (I’d read the first in the FLASH COMICS #1 Treasury, but not the Silver Age story) and a pair of Green Arrow stories, neither the Emerald Archer’s first appearance but both detailing contradictory origin stories for his costumed identity and mastery of the bow. 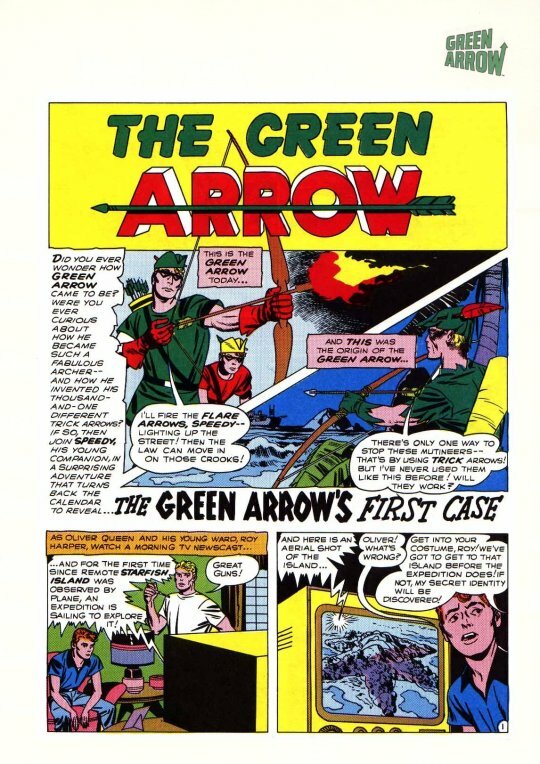 I naturally concluded that the first must be the Earth-2 Green Arrow, which turned out to be true. 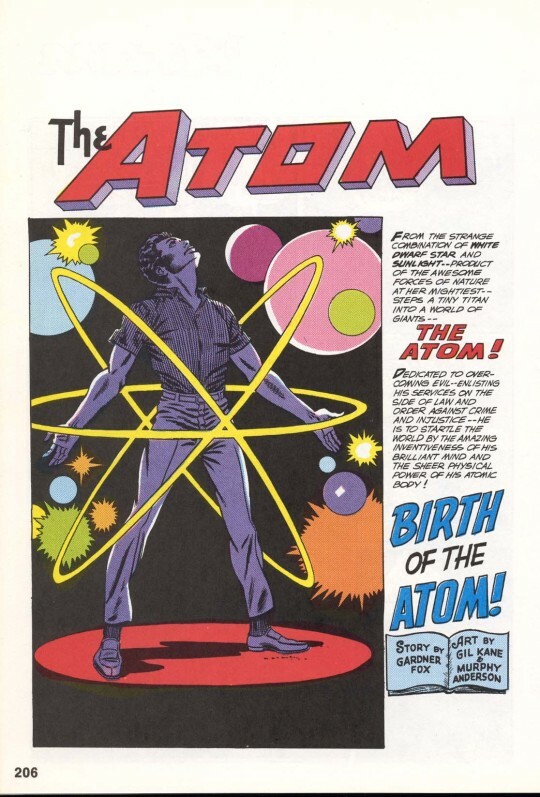 The Atom came next, and he never even got a costume in his initial outing as Al Pratt, nor did Ray Palmer in his initial story. Still, these were all fun and inventive. The final two slots in the book were devoted to DC “acquisitions” that had originated elsewhere. 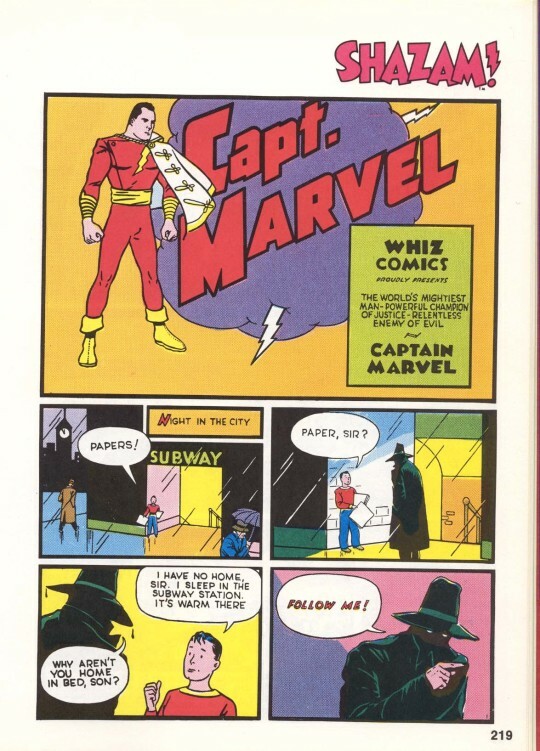 So next came the first Captain Marvel story from WHIZ COMICS #2 (the first issue had been an ashcan–and I’d read this story when #2 was reissued as a FAMOUS 1ST EDITION) and the first Plastic Man yarn from POLICE COMICS #1. This book is a treasured favorite, and I’ve replaced it twice over the years. It was also the start of what became a long Christmas tradition in which I would be given books on comics by my family, friends and relatives. And so it was a merry Christmas indeed.